Unique on account of its location, Sion Airport lies at the very heart of the Valais region of the Swiss Alps. No other commercial airport in Europe is closer to a ski resort than Sion. Global charter company PrivateFly recently announced that Switzerland has the fourth largest number of business aviation flights in Europe, behind only France, Germany and the UK, recording an average of around 56,000 movements each year. Sion Airport is currently responsible for more than 6,000 of those movements. A base for the Swiss Air Force for many years, Sion Airport is now transitioning to become a dedicated civilian airport. Sion Airport is also a very well established hub for private jet clients, who enjoy the extensive, dedicated, private facilities and exceptionally high standards of passenger care. A small but flexible team are constantly available to provide an entirely service-orientated experience to commercial passengers and business aviation clients. At Sion Airport, passengers move seamlessly from the terminal entrance to their aircraft in less than 10 minutes. Finding a flight slot to land at either Geneva or Zurich airport has become increasingly difficult in recent years, so much so that many business aircraft users now head to the smaller airports of Switzerland instead. At Sion Airport there are no slot limitations, presenting a major advantage to executives, travel planners and aircraft operators. Flying to Sion Airport also gives access by road to Geneva for any essential events or meetings in under two hours, without the inconvenience of navigating a major airport. 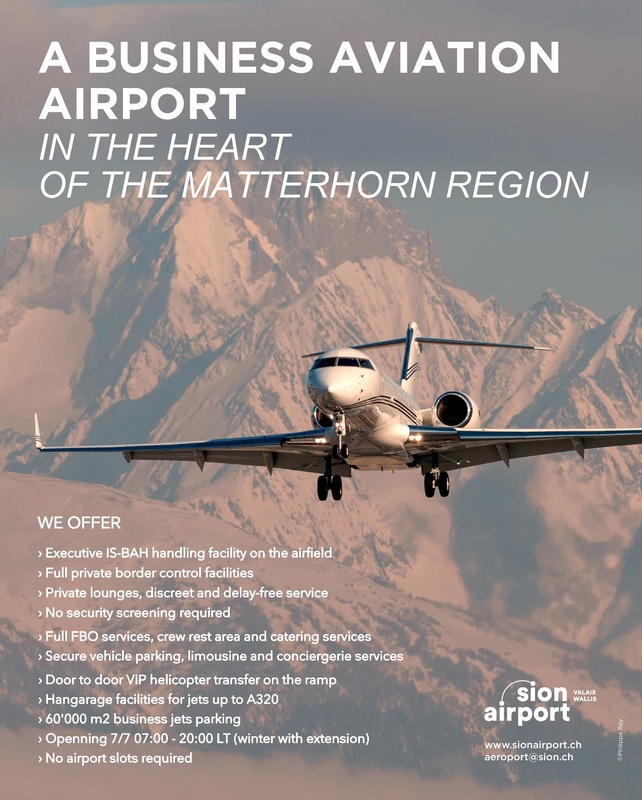 Sion Airport also lies less than one hour from key commercial cities such as Montreux, Vevey or Lausanne. Regardless of your reasons for travel, at Sion Airport you are assured a warm welcome, an efficient, first rate standard of service and the true beauty of the Alps, right on our doorstep.